Welcome to the largest multi-brand store with top sports equipment. David Sport has sports equipment from the best brands, top clothing and accessories for leisure, cycling, golf and skiing. 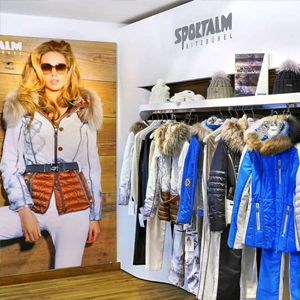 We represent an exclusive brand Sportalm and offer an elegant urban collection or luxury mountain fashion. Looking for winter jackets, coats, hats, ski pants, fur boots, skis, helmets, equipment or bike, hiking shoes, summer clothes and bathing suits? David Sport has ladies, men's and children's collections, for the best price and complete service for the whole family under one roof. 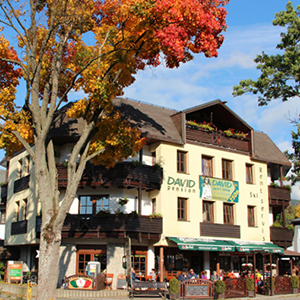 E-shop does not offer our entire range of products, more products can be found in our brick and mortar stores David Sport Harrachov and the flagship store Sportalm Spindleruv Mlyn, where you are welcome. For an appointment please call 731 655 330, we are open every day.